This sleek espresso bronze table lamp will add a striking modern touch to your decor. Bold geometric lines give this design an expressive modern touch. This contemporary table lamp from the 360 Lighting collection has an open rectangular base in a rich espresso bronze finish. Along with a floating box shade, it offers a unique look that is both dramatic and simple. A single on-off pull chain keeps the profile clean and classy. Overall: 20 1/2" high. Base is 9" wide x 4" deep. Shade is 6 1/2" wide x 9" high. Weighs 4.6 lbs. Takes one maximum 60 watt standard base bulb (not included). 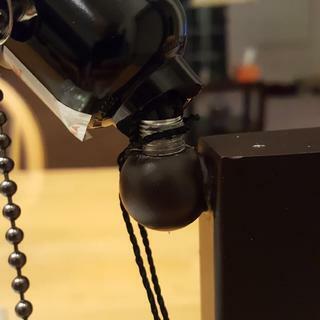 On-off pull chain switch. Modern table lamp from the 360 Lighting collection. Espresso bronze finish over metal construction. Open rectangle base. Oatmeal box shade with self trim top and bottom. Color & Shape I wanted something different & I found just what I was looking for. I chose this product because of the unique design and colour that it came in. I wanted lamps in either black or an oil rubbed black colouring. Narrow footprint and modern design. The sleek, unique design appealed to me. Unique design, size and the color. I have been wanting these lamps for months. I just decided to purchase the since the fit perfectly with my newly purchased bedroom set. Modern, good value with it being on Sale. Good Value….remember this, Lamps Plus! It’s an amazing lamp. I would never imagine being able to own a lamp, this unique, for such an amazing price. Perfect shape and size for my narrow sofa table. 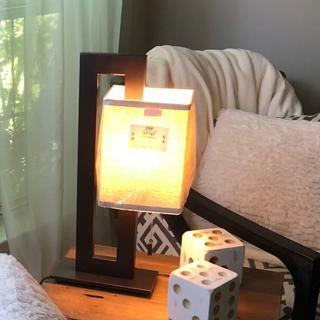 Looking for a modern lamp to compliment my new Mondrian piece I purchased for my living room. This map is bold and contemporary in design. Bold Accent for living room. Does the bronze tone lamp have a darker shade? It looks more oatmeal colored than the black based lamp does. BEST ANSWER: It’s not white. A cream color, maybe you could call it oatmeal color. FYI, we really like these lamps. Can’t beat the price. Thanks for the response, and yes, it has very neat lines. Very unusual, and very pretty. After thinking about it, maybe I would say the color is light tan. Very light. It is a bit oatmeal but goes well with the espresso finish. think tan oatmeal. How’s do you put the shade on? The shade fits over the light bulb socket. The shade frame has a circular base (and a frame work) that just goes over the socket, then the bulb. Ours was already put together so no problems for us. When the light bulb is out you can slide the shade between the two ends and then secure it in place with the nut provided. Very nice lamp. Looks classy and modern. Provides minimal light with a 60 watt bulb, just barely enough to read by. The lamp looks nice when it is on and provides a soft brown light for a small room. I have this by my bedside and it looks beautiful. modern and sleek.It goes well with my cappucino furniture. I love the design of this lamp! 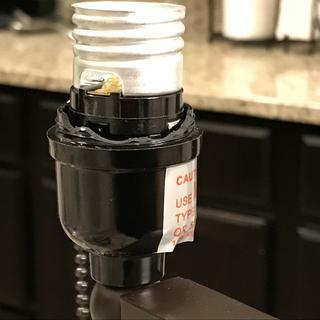 The customer service team is wonderful to work with and very accommodating; unfortunately, the lamp arrived broken TWICE, so I had a lot of communication with them. 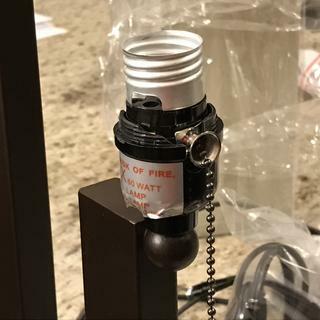 Overall, it has taken about 6 weeks to actually get a lamp in one piece. The Lamps Plus store in San Jose is great. Great service! I love this lamp. It is very modern but, for me, the very best feature is the pull chain on and off. I am handicapped, so finding a lamp that is easy to turn on and off is a bonus. Very nice looking lamp. Loved this lamp on my bedroom dresser. It looks great next to a small Chinese pagoda next to it with a painting of mountains in Asia hanging above. It’s like an object of art in addition to providing enough light for that corner of my bedroom. Love it. I love this lamp. It works beautifully by my bedside and looks elegant. I am very pleased with this lamp. It is attractive, well-made, and looks great in our entryway. I love these lamps! They are classy, unique and contemporary for a great price. Looks great highly recommend these! Love them. Just right for the bedside table. Kinda retro, kinda modern! These are great bedside lamps. Very stylish. Very nice light for hallway, ambient light. Very simple design that looks great. Comes with LED bulb which was a pleasant surprise. Attractive mid-century look. espresso finish is nice. Stylish and fits my decor. What a nice, warm light for a table or corner, I love mine. Just exactly what I was expecting. It looks great! I was surprised to find a lamp this unique for this price. From ordering it, to receiving it, everything has been great. They even texted me when it would be delivered, and it was delivered on time. Its just as I expected. It looks great! 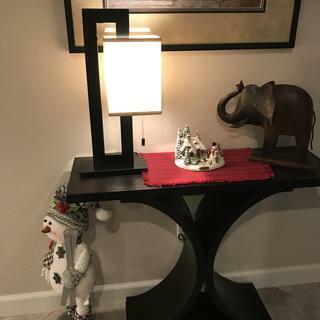 It is on the smaller size of lamps, but it is exactly the perfect size for the smaller table in my family room. Love it! It looks great in our front entryway. Nice lamp...solid. The pull chain requires a healthy tug to turn it on and off. Price dropped after I bought 2 so there is that. 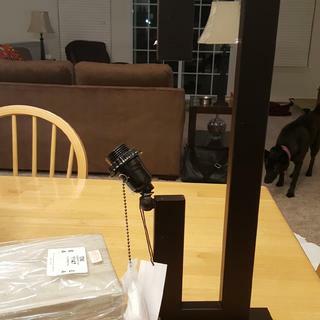 Very cute lamp but a chain end was missing, they sent a piece but don't know how to install. But great buy for the price. Really cool design and just the right size I was looking for! Delivery was on time and in good condition. 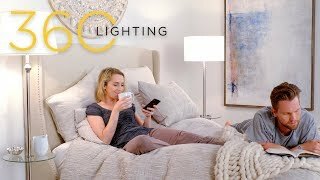 We purchased two of these on sale for our guest bedroom, and put 450 lumen LED bulbs in both. They supply a warm glow to the area and enough light to read by. I appreciate the pull cord rather than a push switch inside the lampshade. The angles do make them somewhat awkward to clean and the construction isn't super-high-end, but it was better built than I expected for the price. Poorly made. Don’t waste your time in purchasing this lamps. Hi Rafael P., sorry to hear that the construction on your table lamp was not as expected. We set high standards for our products, and we would like to hear more about the issues you're experiencing so we can assist. Could you please reach out via phone, email, or chat? Thank you.